“As close to a flesh and blood encounter with The Dalai Lama as it gets” Positive News. Last night, at St James Church Piccadilly, I attended a truly special screening of an independent film entitled The Road To Peace, directed, produced and edited by filmmaker Leon Stuparich. Filmed in a fly-on-the-wall documentary style, the production focuses on The Dalai Lama’s visit to Great Britain and shows us through close up footage and camera interviews how he, quite literally, captures the hearts and souls of everyone he meets. Sitting absorbed by the film a few observations came circling through my head. Using the documentary format, Leon brilliantly shows us all the “noise” around each of The Dalai Lama’s visits; the nervousness of people clearly wanting to make sure everything was perfect, the excitement of being part of a special occasion. There is most definitely a feeling of everyone being on their best behaviour. Then The Dalai Lama arrives; peace and joy radiating from his face, open and alive to every moment; laughing and connecting soul to soul with each individual and none of these external things would matter any more, all the façade would dissolve and people would visibly soften. Time after time, the film captured these beautiful moments. Suddenly life seems simple and joyful. 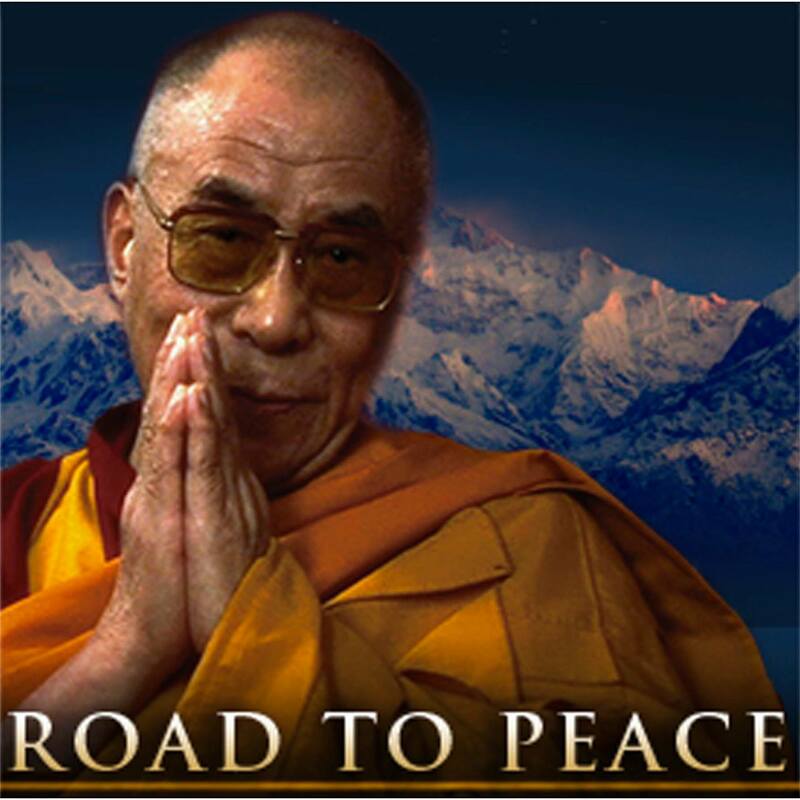 That is the essence of why people flock to The Dalai Lama – he radiates inner peace, joy and compassion. As a radio presenter who focuses on positive social change, I was fascinated when the film showed snippets of The Dalai Lama being interviewed by journalists. There was even one particularly claustrophobic moment when the world’s media descends into one small hotel room in London. How unreal must that have felt? One after the other as the journalists posed their questions I wanted to shout at the screen; is that really the best question you can ask of a man who can show us all how to bring more peace and joy into the world? Yet none of the meaningful questions were asked. The Dalai Lama however remains unfazed by these questions; always choosing to speak from the heart, in simple language and from the truth of love and compassion for humanity. It is also intriguing to see how The Dalai Lama acts as a unifying force as we see him in action at an interfaith meeting in which he is once again guest of honour. In a room filled with representatives who hold different religious beliefs, dialogue could quite easily focus on what separates each faith but what The Dalai Lama is able to do is show the similarities between each group and what unifies all religions which is love and compassion for all human beings. Universal Responsibility is the message The Dalai Lama shares around the world and which he asks us all to embrace. As he quite rightly points out we have created the problems we have in the world right now, but that means we also have the ability to overcome these problems. So just how long is it going to take until we start listening to and acting upon this simple yet profound message that when we join together we can create a world of inner and outer peace that supports us all? Next Who decreed that news reporting has to be so depressing?